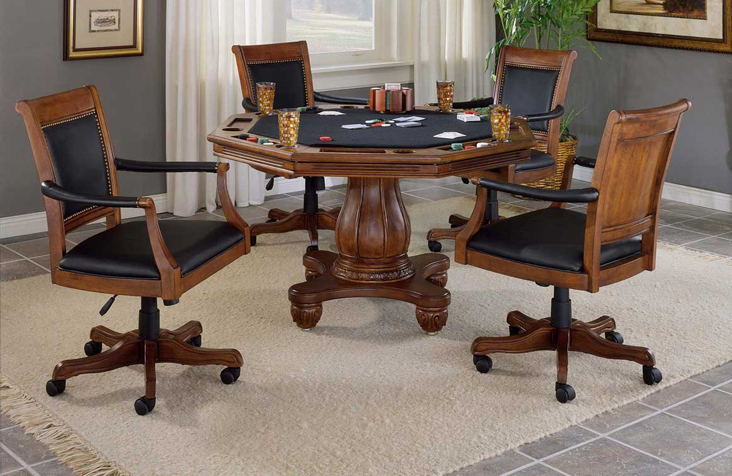 The Kingston game or dining room collection by Hillsdale Furniture is a distinguished addition to any home. The light cherry finished wood, black leather and felt, and nail-head trim give this grouping a stately presence. It’s true grandness can be found in the ornate details on the table’s base and felt. Also, with a reversible table top, casters on the chairs, and the stool swivels 360 degrees, this set is not only handsome but it is practical.